Fullish colour. Full, rich, concentrated oaky nose. This is a profound wine. Backward. Substantial. Fullish, real depth here. This has real intensity even power. Fine ripe tannins. Long, backward but lush. Very fine. This is a wine of great finesse, very soft and graceful. The emphasis is not on power, but there is an underlying momentum to the wine. There is a wealth of ripe, red fruit on the nose. Purity is an effective descriptor too. Fine-grained tannins dominate the finish, which is persistent and with great harmony. Layers upon layers of fruit dance on the palate and a textured spice really pleases. 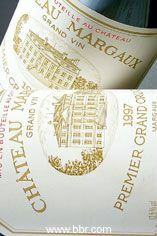 It is a pure expression of wines from Margaux. 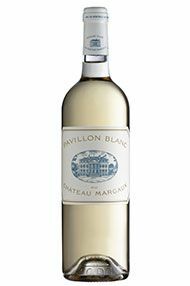 Refreshing, clean and with delicious acidity, Pavillon Blanc is dominated by glorious green fruit flavours. With a dense minerality, the flinty notes are particularly pleasant. Acidity is present, but complements rather than dominates, and there is a wonderful freshness here. The wine benefits from over 35-year-old vines. With lightness and an abundance of tasty fruit, it is another excellent wine in 2015. The wine has a precision and saltiness that is utterly delicious, demonstrating just how good white Bordeaux can be. Words can't convey how good this is. It is an extraordinary Margaux, with a perfume to die for and an astonishing level of concentration and complexity. The tannin levels are the highest ever here but you would never know; they are like velvet on the tongue cloaked with rich, suave and voluptuous forest fruits and crushed raspberries. The finish goes on forever with coffee, mocha and bitter chocolate hints enhancing the intense pure, creamy cassis. This is a classic Margaux that starts slowly and then just builds and builds to a deafening crescendo that engulfs the senses. This is a legendary Margaux. The balance and harmony in this powerful Second Wine is immediately reminiscent of the sensational Grand Vin. The creamy black cherry and blackcurrant fruit is as smooth as velvet and extremely mouth-filling. The much greater percentage of Merlot (48%) this year gives it far more opulence than usual, while the Cabernet Sauvignon (48%) provides the incredible concentration, tannic structure and sheer class. This tastes more like a Second Growth than a Second Wine. What a truly remarkable wine! A complex, multilayered, magnificent marvel; it really does posses true majesty. It has a real grace and power that has you fumbling for words to describe its quality with any degree of sophistication. There is layer upon layer of perfect dense red fruit wrapped around a kernel of ultra-fine, ultra-dense ripe tannins. Ch. Margaux 2000 and 2005 are some of the greatest barrel samples I have ever tried, and the 2010 is up there again, matching the incredible Ch. Latour as wine of the vintage. “Electric! The hairs on the back of my neck have sprung to attention!” Were my “on site” tasting notes. Not since the spectacular 2001 Pavillon Blanc have I been so bowled over by its aromatic and spritely nose. Ultra zing on the palate with a remarkable finish. If you can find it, it may be affordable this year. It is certainly one which is well worth pushing the boat out on however. Delicious. Tasting wine at Ch. Margaux is one of the greatest parts of our job. It’s a true privilege. 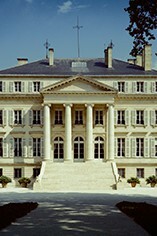 The most beautiful Château and always one of the most elegant and sophisticated wines of any trip. 2011 is no exception. Pure blast of vibrant Cabernet Sauvignon (86% this year) which should smell like blackcurrants or blackberries but here is fragrant strawberries and raspberries. Soft, round, supple. Elegance with generosity. Really beautiful. The residual aromas left in the glass are worth a trip to Bordeaux alone. Sensational. Just 40% of production was selected for this wine and Paul Pontallier finds the quantity to be similar to 2011 and 2012, it is just a shame that there is less of it this year. Refreshing, clean and with delicious acidity, it is hard to disagree. Pavillon Blanc benefits from vines over 35-years-old and with minerality, lightness and an abundance of tasty fruit, this is good again in 2013. In years to come, 2013 Ch Margaux will be a legendary wine: the first (and perhaps last) Merlot free Margaux. Tasting reveals that great terroir, first class vineyard management and great wine-making means that we don't miss out, and that 5% Cabernet Franc and the 1% Petit Verdot have added a touch of complexity too. It might not be typical Margaux, but it's proof that the vintage was capable of producing complete, stunning wine. Just 38% of the crop from yields as low as 22hl/ha, there will be only 7,000-8,000 cases of Merlot-less Ch. Margaux made in 2013. The higher proportion of Cabernet initially gives it a Pauillac-pencil-box nose but this soon dissipated into a more Margaux style of wine, with that grace and elegance that signifies this most stylish of First Growths. Returning to it again, it had opened out with charming, floral notes. The length and development is there, finishing fresh and full. The ever urbane Paul Pontallier wasn’t trying to promote it as anything more than a very fine accomplishment in what was a near impossible vintage; a wine to be enjoyed, and Paul to be praised for it, around 2020. This was the first First Growth on the Left Bank we tasted in 2009 and it was magnificent. With an intense, lifted, floral perfume and a succulent palate of mulberries, blackcurrant and fruitcake spice this is massively concentrated whilst somehow managing to feel very understated. The tannins are of the highest level ever recorded at Margaux but skip lightly across the palate and then just melt away. With its elegant minerality, sweet ripe fruit and extraordinary length, this is a truly lovely wine. The freshness of the 2012 was the most notable aspect, backed up by ample, cool fruit. This is very much an archetypal Ch. 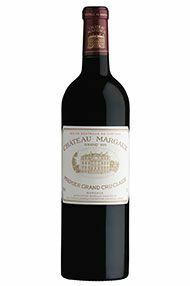 Margaux with its gentle, spicy aromas that will develop and intrigue. If priced correctly, which it should be, this will prove to be a classic and thoroughly enjoyable Margaux from a vintage where Paul Pontallier and his team deserve praise for creating such a success from a less than easy vintage. The terroir tells. There is an aristocratic style to this wine, with a fresh cassis nose alongside mocha and violet notes. Dark fruit and chocolate vie for attention on the palate with hints of cedar; the texture, however, is pure silk. It's a wonderful mouth-feel. Soft and round, the wine is elegant and generous on the lingering finish. Tasting wine at Ch. Margaux is one of the greatest parts of our job. It’s a true privilege. It is the most beautiful château and always one of the most elegant and sophisticated wines of any trip: 2015 is no exception. This is one of the most dense and concentrated Margaux we can remember tasting. In the glass, it has a delicate nose of dark cherry fruit and – with time – a hint of violets emerges. On the palate, it is bold with big volume, smoothness and length, ending with some sweet fruit on the finish. Dark maroon, notes of spice and pepper on the nose give way to violets and red fruit. There is power behind the charm, though, with a dense concentration on the palate, a vibrant mouth-feel, and a long, almost Burgundian, finish.